This is a great testimony. It’s authentic, It’s for real. You will be impacted by this testimony. I was, all Christians will resonate with and be encouraged by this message. If you don’t, then you are in a dark place and need help. Why don’t you contact Bill Towns. Consider how easy it is to tell the religious faith of many people in the world by their dress or actions. One religion’s members shave their heads, wear saffron-colored robes, play musical instruments, and chant and sing in public. The faithful of another religion stop and kneel for prayers, wherever they are, five times a day. Another religion’s orthodox members wear black coats and hats, white shirts, and have long, curly locks of hair or beards. It is not if we dress or speak a certain way or act religious in a certain way, but if we have love for others. Loving people the way Jesus loves people is the true mark of His followers. Love is the highest kingdom value (see Romans 14:17; 1 Corinthians 13:13). Let our love and service for Christ be translated today into love and service for others. Can you pray for those who persecute you? This video tells the story of how Suta’s faithfulness and the Holy Spirit’s conviction eventually led Raji, who once persecuted Christians, to embrace Christ. May this story inspire you to pray not only for persecuted Christians but also for those who persecute them. You have a FATHER who loves you perfectly. Do you know HIM? 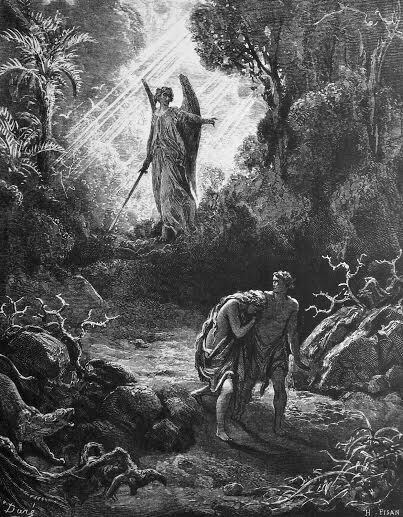 Adam walked and talked face to face with his FATHER in the garden of Eden. Adam knew GOD as HE knew Adam – there was no separation. Adam knew his value and the proof of that value was his assignment to be like HIM, to partner with HIM having dominion over all of HIS creation. GOD’S enemy, Satan (the father of lies) knew the FATHER’S one desire is for HIS children to know HIM. The battle has always been over intimacy in its purest form, between the ONE who is love and the ones who were created to receive HIS love. This battle had its front lines in the garden of Eden. One bite of the supernatural fruit from the tree of the knowledge of good and evil set into motion questions that would emanate from every human from Adam and Eve forward: “Is HE good or is HE evil?” and “Can HE be trusted?” Doubt was inspired by the mind of reason that had limited perspective based on a lie. Generations later the battle continues to rage as GOD’S children wonder if they are loved and valued. We, the sons and daughters of GOD who couldn’t be more loved or valued, live as orphans with rejection complexes that cause us to look at every circumstance as proof of whether our FATHER loves us rather than going straight to HIM to experience HIS love for ourselves. The world lives as if GOD does not exist and if HE does, HE really watches from a distance to see how we’ll do without HIM. Nothing could be further from the truth but you won’t know that GOD can be known and experienced until you dare to believe that HE wants to be known. You can gain access to all of HIS supernatural solutions to your problems. Intimacy is a choice. It requires time and desire. Intimacy with the FATHER produces the knowledge of GOD, in which you know that HE is good and can be trusted. The choice is yours, start living eternal now. A BOY of five brought the customers at a fast food restaurant to tears when he said grace with a homeless man he had just got dinner for. 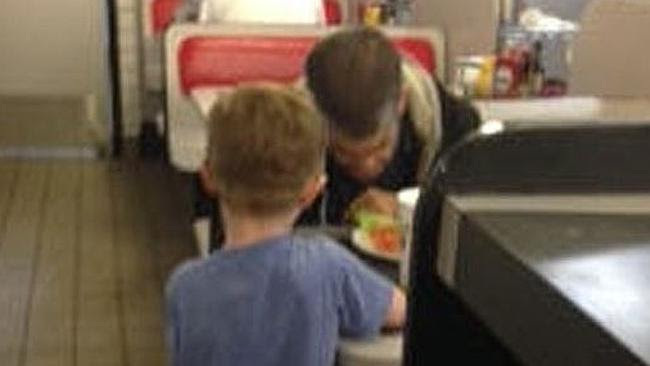 Josiah Duncan’s act of kindness came after his mum, Ava Faulk, had taken him to eat at the Waffle House in Prattville, Alabama. He saw the homeless man standing outside with his bike and was so troubled by his appearance he began asking his mum about him. 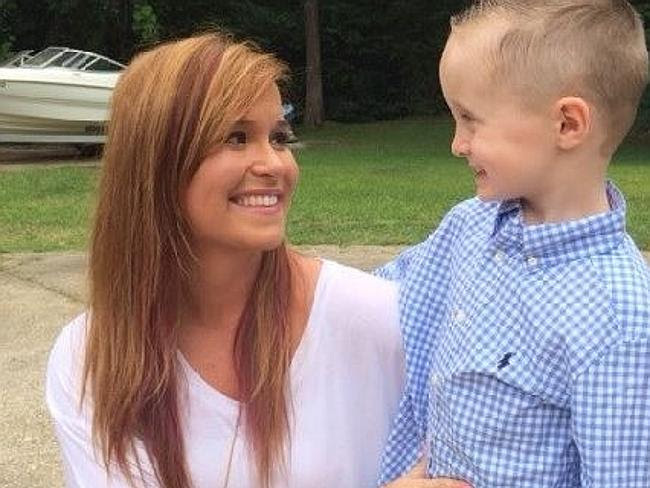 When his mum explained the man had no home or food Josiah urged her to buy him dinner. She did just that. The unidentified man was at first shy and ordered only a cheap hamburger but after Ms Faulk told him he could get anything he wanted he got the works. Before the man began eating Josiah insisted on saying grace with him, bringing the other 11 diners in the restaurant to tears. “The man cried. I cried. Everybody cried,” Ms Faulk said. “You never know who the angel on Earth is, and when the opportunity comes you should never walk away from it,” she added. “Watching my son touch the 11 people in that Waffle House tonight will be forever one of the greatest accomplishments as a parent I’ll ever get to witness. Dynamic street evangelist Henry De Roos gives practical advice on how to use evidence about God’s creation to share the Gospel of Jesus Christ. Listen to the first five minutes of this video to get Henry De Roos testimony. A Science teacher with two degrees who discovered he was unable to defend his faith and decided to do something about it. EASTER is the time when we remember our Saviour’s resurrection which makes our own resurrection sure. Jesus knew nothing could separate Him from the Father’s love and we have been given the same promise in Romans 8: 38-39. And we have been given the same promise of resurrection Jesus was given. Paul says to comfort one another with these words and so we should, what a wonderful God we serve. THE GOSPEL: If not from GOD from whom? I believe we can boldly assert that no man of all the myriads that have ever lived – let him be as wise as Solomon, the very best as Job, could have possibly invented from his own “thoughts” the GOSPEL. It was absolutely impossible for such a plan of salvation ever to be devised by man’s thoughts. It is utterly at variance with those thoughts. It is infinitely to intricate in all its marvelous adaptations to all the involved problems that have to be met , so that no careless, thoughtless one could ever have conceived it. He would cease to be careless. But that eliminates most of us, for indeed aren’t most of us careless? But could a proud man, let him be ever so thoughtful and intelligent, have invented it? I don’t think so, for it humbles him to nothing , telling him that he is ungodly and without strength and only as in heart confessing this can he be saved. He would have to cease being proud in order to have conceived it, to have been its author. There only remains the poor is spirit, the confessed sinner. Could such have invented the idea that the Creator of all, glorious in holiness, that so high, so Holy a One should give up His dearest Treasure to bear the sins of one like himself, so conscious as he is of his unworthiness? Would it be likely a humble mind to invent such a plan? He would cease to be humble to have invented it. In fact how blasphemously proud would such a person be! Then I would suggest, it is proved that since no man – careless or thoughtful, proud or humble, bad or good – could have conceived it, it must have been a divine revelation, the result of God’s thoughts and not man’s. As we approach Christmas, this beautiful rendition by Pentatonix is a wonderful reminder of who JESUS is and what He has done and is still to do. 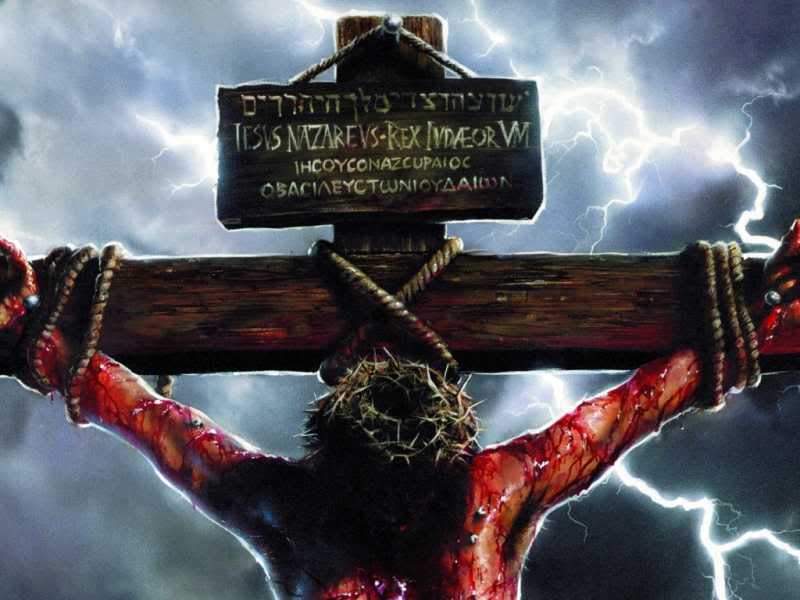 Jesus is coming again and when He does it is to rule and reign. Do you know him as your Lord and Saviour? Do you know His Father as your heavenly Father? Do you have the Holy Spirit within you as your comforter, counselor and teacher producing the fruit of the spirit in your life – love, joy, peace, faithfulness, gentleness, kindness, goodness, patience and self control. If you do, you are truly living eternal now. May you know His love, peace and joy this Christmas. This six minute video is of another story of city transformation when churches work together (John 17 unity). This time the city is Portland, Orgeon. Not too far from Whatcom County. God is moving mightily in these last days. When we show the love of Christ to the hurting in our community, the city is transformed. The spiritual forces of darkness (demonic powers) disperse when the light of Christ shines brightly.